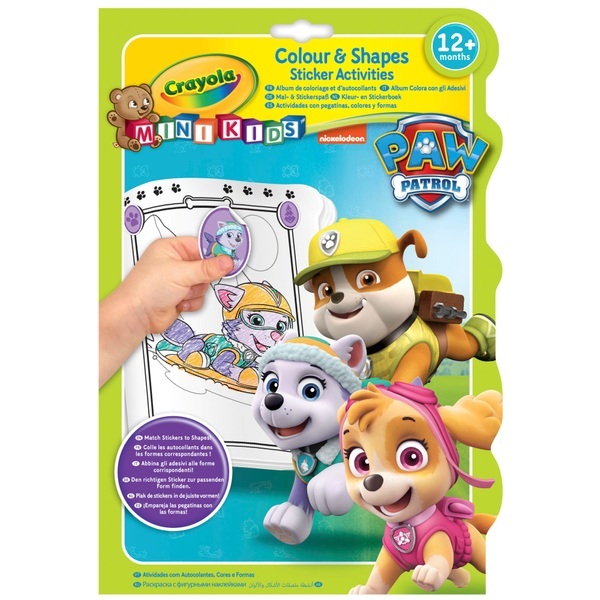 This Crayola Paw Patrol Colour and Shapes Sticker Activity Book features some of your favourite pups from the Paw Patrol Gang. Colour in the 32 pages with your own colouring pencils or crayons. (Pencils and crayons not included) Match the Paw Patrol themed stickers to the shapes in the book and colour it all in!